The spacemen have discovered a new planet and landed on it. Seems that there was a civilization here, but now the planet is abandoned. Will you be able to find out why the population of this place has been extinct? 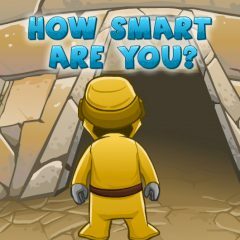 Games Similar How Smart are You?